We will provide you the necessary information about how to set up a new business in Spain for you to decide for the most suitable structure and meet all the requirements to start a business activity. Advice on legal issues and taxes, always adapted to your circumstances. Find the simplest procedure to set up an entity in Spain. Providing the powers, or the structure of the powers, to act before banks, suppliers, authorities, etc. For all the correspondence, we offer you to register your fiscal address at our offices so you can operate. We will always inform you about every procedure. Setting up your firm in Spain does not have to be so difficult. We can study your business and activities in order to make your decision easier. 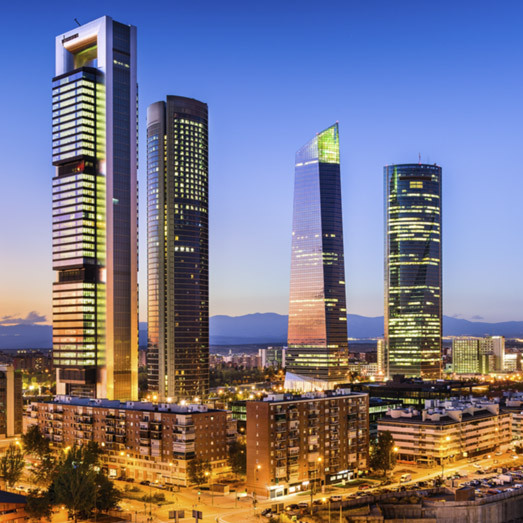 There are several possibilities to run your business in Spain. One could be the incorporation as a Spanish company or as branch (acting alone or in association with another entrepreneurs) which are the most common; however, there are some less-known options as the joint ventures or creating a temporary business association as Unión Temporal de Empresas UTE. Besides, it is not always necessary to set up a formal structure to run your business in Spain; acting in the Spanish market is also possible thanks to distribution agreements, agency agreements or franchising. The first step is to choose between permanent or non-permanent establishment. In case complete business activity is going to be developed, a permanent establishment would need to be set up (normally subsidiaries or branches) fully subject to tax and legal obligations as corporation, official accounting, approval and registration of accounts, etc. When the business is going to be plainly operating, carrying out the normal and full activity of the company, a permanent establishment must be set up, normally as a branch or a subsidiary. In Spain, a non-permanent establishment is known under the name of “Representative Office” or “tax registration”. These establishments are thought to simplify the requirements for business which only run accessory activities, or is dedicated to advertisement activity or promotion tasks. Their main function is usually to collect and distribute information and to introduce and refer potential customers to the head office, located in another country. Negotiating or concluding contracts directly with local customers. Maintaining significant business structure in Spain. Want to have an employee in Spain. A VAT number in Spain. Need to declare withholding taxes in Spain. Want to have a warehouse for merely distribution purposes. Want to have an entity as a first step to test its business in Spain. Sociedad Anónima “S.A.” (Similar to what in other countries is known as Inc, Plc, N.V, A.G.
Sociedad Limitada “S.L.” (Similar to what in other countries is known as LLC, Ltd, B.V.B.A, GmbH). S.L. and S.A. are subsidiaries or companies with share capital divided by shares and with a limited liability for shareholders. There are some cases where the law obliges to use the SA option. Unless for such cases, if your company will have a short number of shareholders, the S.L. will be probably the best option. Branches, legally, are not independent entities but an extension of the head office located abroad. Running a branch in Spain is not more simple than a subsidiary. In general, the main advantage of Branches is the possibility to automatically consolidate losses and profits in the accounts of the parent company.